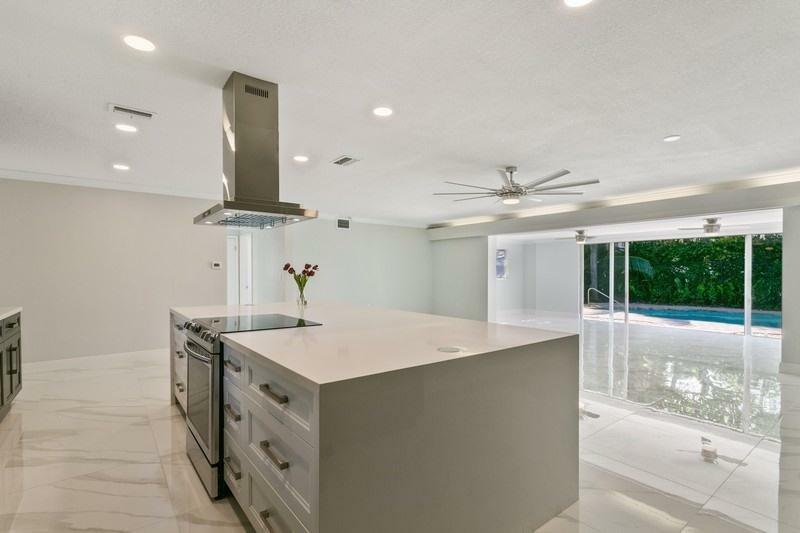 Beautifully renovated 1-story pool home enjoys fully fenced back yard on Private street. 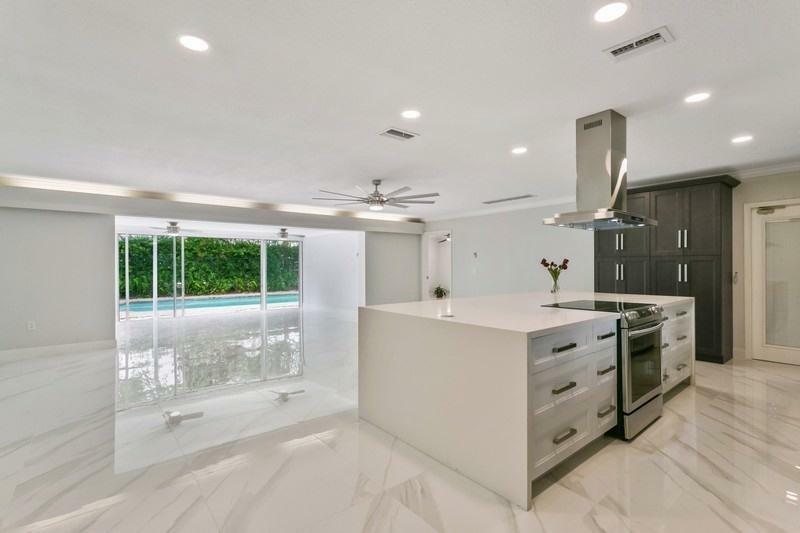 Open concept living shares natural light, 32 X 32 porcelain tiles, 8-9' ceilings, trim work & recessed LED lighting. 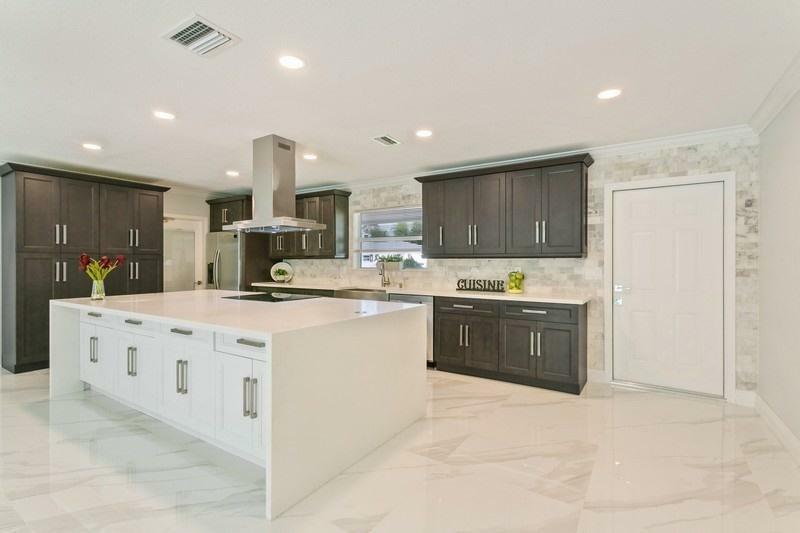 Kitchen features oversized quartz island, custom hard wood cabinets, pantry with pullouts, SS appliances & hood vent. Master suite has SW exposure with large walk-in closet. Custom master bath has double vanity from Spain, frameless shower & tub/shower. Split bedroom plan for 2nd & 3rd Bedrooms. 2nd Bath is fully renovated with double vanity from Spain & frameless shower. Private pool and shed for extra storage. Metal roof 2016 & A/C 2019. W/D. Impact Windows, accordion shutters and hurricane impact garage door. City Water & Sewer. Well water for sprinkler system. No HOAHypoluxo Shores is intimate community of 28 homes on Private Street. Within short driving distance is public access boat ramp, beaches, Publix shopping, dining & entertainment at Manalapan. 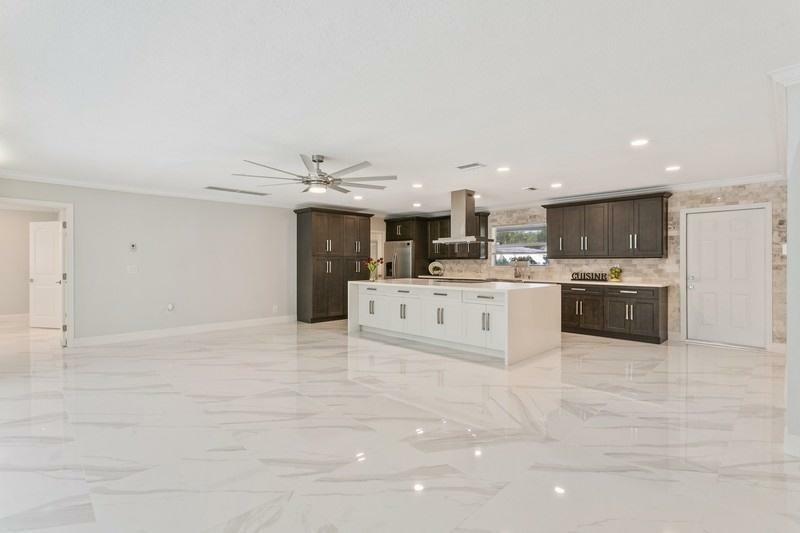 Community is central to renowned shopping on Palm Beach Worth Ave, trendy Downtown Atlantic Ave in Delray Beach, casual & fine dining, entertainment and shopping in Boca Raton, International Polo in Wellington and some of the best golf courses around the county. Easy access to I-95 and Palm Beach International Airport is a short 12 Mile drive. Under Air square footage of 1946 includes semi-finished base area (324 ft2). Total square footage of 2549 includes finished garage (483 ft2) and a finished open porch (120 ft2).